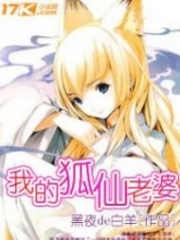 You’re reading novel Chaotic Sword God Chapter 1541 online at LightNovelFree.com. Please use the follow button to get notification about the latest chapter next time when you visit LightNovelFree.com. Use F11 button to read novel in full-screen(PC only). Drop by anytime you want to read free – fast – latest novel. It’s great if you could leave a comment, share your opinion about the new chapters, new novel with others on the internet. We’ll do our best to bring you the finest, latest novel everyday. Enjoy! "Will I really just die like this? Will I be reduced to a puppet controlled by someone else in the future?" As she gradually approached death, she felt both liberated and intense regret. She still held unforgettable feelings for the Kalor tribe that had raised her. She struggled to forget her father who had cared for her. The destruction of the Kalor tribe had also been the most sorrowful part of her life. Even if she died now, she would be liberated since she would never forget about the Kalor tribe as long as she lived. However, she did not want to become a puppet controlled by someone else after death. However, the difference in strength between her and an Origin realm experts was just far too large. Even though she was filled with regret, she was powerless to make a difference. Kai Ya's consciousness became blurrier and blurrier. However, the intense agony from her collapsing soul grew duller and duller. Her sense of pain gradually vanished as she inched towards death. Xi Yang was extremely stern. He had learned the method of creating a puppet from an ancient book. He had never used it before, so he was very careful with it. The rate Kai Ya's soul was collapsing at was extremely slow. He was afraid that he would make the entire thing collapse if he was not careful. If he had the time, he would have never tried creating a puppet in such a hurry. He would have definitely captured some Saint Emperors and experimented on them so that he could gather enough experience before trying it on Kai Ya. However, he just did not have that much time to experiment. He had no idea when the other protectors or elders of the Sacred Spirit Hall would notice Kai Ya as well. Once Kai Ya caught the eye of someone stronger than him, he would not be able to beat them with his strength, which was why he took her away in such a hurry. He wanted to turn Kai Ya into a puppet in the shortest amount of time possible. He wanted to control the Seven-colored Heaven-devouring Beast and the endless soaring ants. Once Kai Ya turned into a puppet, she would belong to him. At that time, even if elders were interested in her, he had no need to fear because the current Spiritking would never let Origin realm experts fight among themselves. As Kai Ya's soul collapsed, Xi Yang sent a sliver of his own soul into Kai Ya's sea of consciousness as well. He used the power of his own soul to protect the remainder of Kai Ya's soul, which he would use to make a puppet. When a sliver of Xi Yang's soul entered Kai Ya's sea of consciousness, he became stunned. He discovered, to his surprise, that Kai Ya's soul was not strong but her sea of consciousness was extremely vast. It seemed like a limitless universe, unbelievably tremendous, making him feel like it was boundless. "W- what kind of sea of consciousness is this? Why is it so large?" Xi Yang was completely stunned, deeply shocked by the size of the sea of consciousness. At that moment, he felt like he had not arrived in a person's sea of consciousness but a whole different universe. He had never seen such a tremendous sea of consciousness. In fact, he had never even heard of one. His Origin realm soul seemed so puny in her sea of consciousness, like an ant that lived beneath the sky. At this moment, a dazzling light appeared in the depths of the sea of consciousness, spreading through it at an unbelievable speed. In a short moment, her entire sea of consciousness was occupied by the light. It poured into every corner, lighting up everything like it was daytime. A hazy figure silently appeared in the endless stretch of white light. Her body was illusory and slender, only visible as a blurry figure as if she was covered by a divine light. The figure silently arrived before the strand of Xi Yang's soul. The figure did nothing, but Xi Yang's soul miserably shrieked. The part he had sent into Kai Ya's head actually collapsed at that moment, reduced to pure power, which had fused with the hazy figure. Xi Yang vomited blood outside the sea of consciousness. His face became extremely pale. It lacked a shred of blood. Great fear filled his face as well. "W- what the h.e.l.l was that!?" Xi Yang wildly bellowed inside his mind. The hazy figure had actually wiped out a portion of his soul without finding it difficult. He did not even know how that sliver of his soul had been annihilated. All of its power was just perfectly drained away. He was fearful of something so strange. Without any hesitation, Xi Yang immediately turned around to flee. At that moment, he completely lost interest in killing Kai Ya. The only thought in his head was to flee, to leave as quickly as possible. It was also at that moment when Kai Ya suddenly opened her eyes. Blood dripped from between her eyes, but her gaze was utterly terrifying. Just her gaze possessed unbelievably great power, and with just that glance, the s.p.a.ce a thousand kilometers away collapsed. Any mountains in the surroundings turned to dust at that moment as well. Only the mountain Kai Ya stood on remained, becoming the only one in a radius of a thousand kilometers. Xi Yang's body had disintegrated as well. He lost his mind in a single moment. His powerful soul was pulled back into Kai Ya's forehead as pure power. Under this gaze, an Origin realm expert had died without even being able to put up a fight. Even Xi Yang himself had no idea what he had been killed by, right up until his death. Xi Yang's body disappeared from the surroundings. There was no corpse, only a pile of dust that fell from the sky. It joined the dust from the countless mountains, making it impossible to locate his remains anymore. At this moment, Kai Ya slowly raised her head. She stared into outer s.p.a.ce at the tremendous formation hidden. It trembled violently when her eyes landed on it. This was the powerful formation that protector Shui had secretly cast along with the help from the ice G.o.ddess from a whole different world. It actually showed signs of collapse at that moment, unable to withstand the gaze that came from Kai Ya. Her gaze was just far too powerful. Even the fate of the world could be decided by it. "The presence of the ice G.o.ddess…" Kai Ya stared at the huge formation and murmured. But, the next moment, her body shook violently, almost falling down. The light in her eyes rapidly dulled as well. "I'm too weak. This is still not the time to awaken." Kai Ya's voice became extremely soft. Her body shook a few more times before she closed her eyes and fell into a coma. 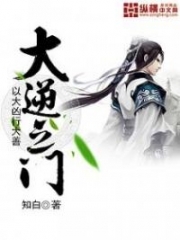 At the same time, protector Shui, who sat on a bed of ice in the Ice G.o.ddess Hall, suddenly opened her eyes. Her cold, merciless eyes became filled with shock, and she became fl.u.s.ter at that moment. She vanished a moment later and reappeared outside the Ice G.o.ddess Hall. She stared into outer s.p.a.ce in shock. 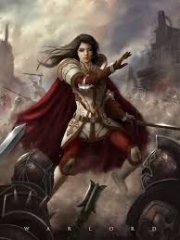 The expression she made under her helmet became solemn, an emotion she rarely ever showed. 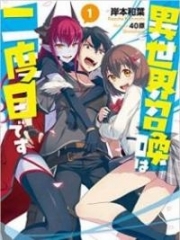 You're reading novel Chaotic Sword God Chapter 1541 online at LightNovelFree.com. You can use the follow function to bookmark your favorite novel ( Only for registered users ). If you find any errors ( broken links, can't load photos, etc.. ), Please let us know so we can fix it as soon as possible. And when you start a conversation or debate about a certain topic with other people, please do not offend them just because you don't like their opinions. You're reading Chaotic Sword God Chapter 1541. This novel has been translated by Updating. 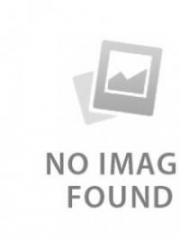 Author: Xin Xing Xiao Yao already has 1970 views. Current Time is Apr-18-2019 16:30:47 PM.